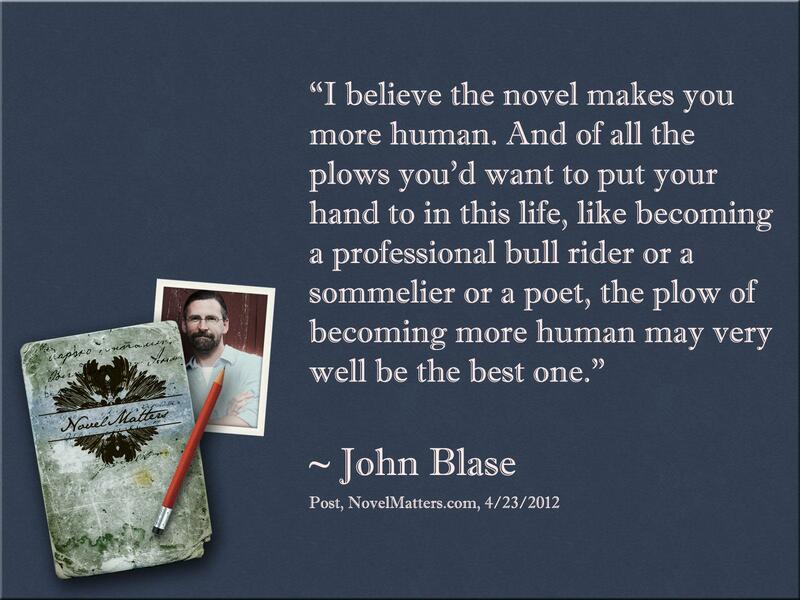 We want you to meet John Blase. We think he's one of those writer/thinker/poet people that needs encountering, and we've invited him to share a word with us on our question for 2012, Why does the Novel Matter? He's an editor at David C. Cook, and a brilliant writer in his own right. He's too humble to point it out, so let us urge you to go to his site (after you've read and commented here, let's not be in too much of a hurry), subscribe, comment, and enjoy his insight, poetry, and wisdom. John will be joining us in the comment section of the blog as well. 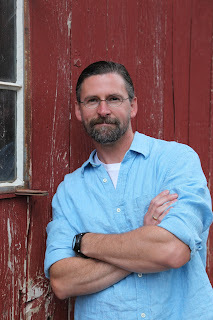 John Blase (rhymes with maize) is a husband of one, father of three, poet, writer, editor, and part-time saint. He lives along Colorado’s Front Range with his family. His recent work includes two co-writing projects - All Is Grace: A Ragamuffin Memoir with Brennan Manning, and No Matter the Cost: Igniting a Life of Strength and Honor with Vance Brown. His own name graces the cover of Touching Wonder: Recapturing the Awe of Christmas. He enjoys dark coffee, red wine, faded denim, and red wine. Novels. Why do some of us keep writing them and some of us keep reading them? Its quite late really in the life of the genre, so why? Drumroll, por favor. I believe the novel makes you more human. 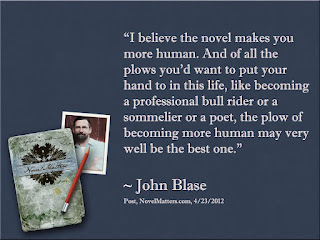 And of all the plows you’d want to put your hand to in this life, like becoming a professional bull rider or a sommelier or a poet, the plow of becoming more human may very well be the best one. D.H. Lawrence talks about the purpose of a novel being to extend the reader's sympathy. I like that. For example, a lower middle class poet (me) can read about a man dying of ALS (Jim Harrison’s Returning to Earth) or about two sisters being raised in Fingerbone, Idaho (Marilynne Robinson’s Housekeeping) or about the lifelong friendships of two married couples (Wallace Stegner’s Crossing To Safety) and to some extent I become a better person for it because I’ve entered into these lives that I have never lived and might not want to lead but nevertheless it stirs, I think, the sense of possibilities within life. The range of ways to live in part explains a novel's value, seeing how deep and wide humanity truly is. Its like meeting people at a cookout that you’ve never met and you wouldn't have gone out of your way to meet, but there they are passing you the dill pickles and they suddenly become real to you. You understand to some extent their lives, plus your own a little more, and to a greater degree this mystical incarnation we call life. Its quite beautiful, really, this becoming more sympathetic or human. It entails becoming more compassionate and friendly and sensitive. I like that. As you might guess, the inverse here is true, as in avoiding novels tends to constrict one’s sympathy, or make you less than human. For example, I once knew a man who avoided novels his entire life and he wound up a bitter old ninnyhammer with no one to talk to but a canary and she hung around only because of the cage. The winter of his years could have been vastly different if only he’d been willing to lose himself in Kent Meyer’s The Work of Wolves or Bonnie Grove’s Talking To The Dead. The choice, of course, is up to each of us: more human or less human. But I’d hate to see you end up like that. I must add that this same phenomenon does frequently occur via poetry, which is somewhat like a sister to the novel, a radically younger sister, you know the one who came along after you were in high school that both intrigues and terrifies you. So I conclude here with a poem of my own to extend your sympathy for me because we’ve probably never met and chances are good you wouldn’t go out of your way to meet me, but voila! here I am passing you the potato salad. Enjoy. the words dance, wreck, fancy, and tremble. Still, we review them, just to be sure. take heart and ask her to inhabit his world. Maybe he'll grow on me, but I doubt it. Still, just to be sure, we review these omens. I try my best not to let her see me t-r-e-m-b-l-e. Thanks, John, for doing the poet's job for us--distilling the truth! You've made me very busy on this Monday morning. After reading your post, I've raced to announce your presence here on NM to my FB friends. 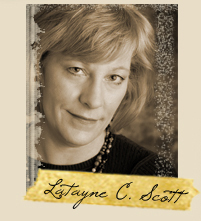 Then I bounced over to your blog to read life- and faith-affirming poetry. Sigh. And then I subscribed to your blog. After all, reading a daily dose of poetry is just above daily exercise. Honored to have you. Just one more reason to love the NM blog--thank you John. You have affirmed my eclectic writing choices (poetry, plays, novels--I don't have to stick to one thing)and the poem, well, I'm looking for a tissue now. And thinking of my own girls. I believe, John, that your words could apply simply to "reading." Biography, memoir, poetry (of course), even blog posts all lead me to the same conclusion you draw in your praise of the novel. One crotchety old person does not support the claim that novels in themselves are the only source of expanded humanity. That is comparable to those who claim hymns are the only source of effective worship. Some genres expand certain personalities more effectively than others. Don't you write non-fiction in hopes it will expand the humanity of others? While I would agree that novels expand us, so do many other genres. It is reading that expands us. 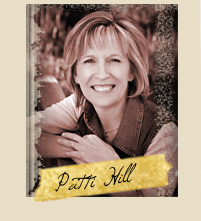 Patti, thank you...I was honored to be invited to contribute. Sandy, the word 'eclectic' is a beaut of a word, huh?And having daughters is an absolute hoot...I've got two and time is running way too swift for me these days. Thanks, Joyce. I would agree that humanity can be enhanced in a variety of ways, although there seems to be something about the novel that has the power to swallow you whole, chew on you for days, and then spit you back out on dry land...it's crazy, but I love it! It's a difficult question to answer, "why does the novel matter?" It seems I'm always coming at the question in retrospect, after the finished product is in my hands, glossy and seductive. I can't seem to find good answers when I'm hunkered over a manuscript, fighting my overwriting, my non-existent plot, my what-was-I-saying-again? themes. I tend to pout, remembering that no one is waiting to read this novel, no publisher drums fingers on a desk in New York lamenting, Where oh where is that Bonnie Grove novel? We want our work to matter because we are beginning to understand how novels have wormed into our psyche and changed us. But the writer always lives with the voice in her head that says, who will care? Few. Maybe no one. I'm honoured you mentioned my novel, John. Thank you. 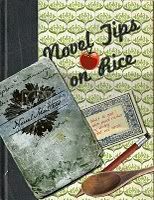 There was a time when I read few novels, because they seemed less useful than the how-to books I'd grown fond of. Now I read more novels and fewer how-to books. I agree that memoirs and such will also lend the view through another's eyes (and I love memoirs). But I think there's a certain value in a novel (and in a poem) that is harder come by in non-fiction, and that is a window into the author's sub-conscious. Since the author pulls the elements not mostly from facts but from an internal perception of what fits, what works, or how things seem to go, then the reader almost gets to read the author's dreams. So while it seems that you are seeing through the character's eyes, you are actually seeing through the author's eyes, not as he wishes to describe himself, but as he SEES, in a broad sense. Joyce, I notice you're a poet. Does that make you the radical young sister? We love radical young sisters here. I heard about a study done that linked novel readers to those who are more empathetic to the plight of others. Seems that novel readers are more in touch with the feelings of others. There was also a different study that dealt with what happens in our brains when we read fiction. Our brains actually react as if the situation described in the narrative. I would never go so far as to dismiss any of the other genres. They are vastly important. They teach us and encourage us. They change us. But there is just something about a novel. 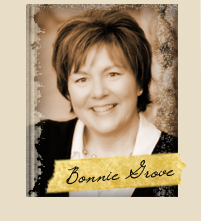 Bonnie, a wise man once wrote it's possible to love completely without complete understanding...I think about that in relation to novels...and I mentioned your book because it's quite good! While Non-fiction and other kinds of literature offer many of the same things novels (fiction) offer, I think fiction offers something the others don't, and that is experience. Non-fiction is like sitting in a class, and as anecdotal as it can be, it always comes up short in terms of presence - it remains "arms length" simply because it is didactic. A novel allows you to enter into an experience like nothing else, and I think your post brings this out. Fiction can create a soft place in a person - it is empathetic at heart, because it displays motivation and heart and good fiction leaves the open-ended questions unanswered. 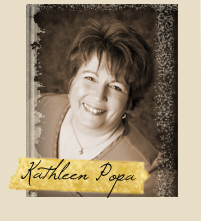 Kathleen, novels are my how-to books. That's one of the reasons they matter to me. Wonderful post John. Amen, I say. I really dig your poem, too, and I'm hard to reach with poetry. Vocabulary words as omens, who would have thought? Only a poet. Only a writer. "it is possible to love completely, without complete understanding," - now that was worth reading through the comments just to stumble on. Cherry, I think everything John writes is gobsmacking. It's his superpower. Kathleen, 'the reader almost gets to see the author's dreams'...that's brilliant! Thanks again for the chance to contribute. Susie, that sounds like an interesting study...and we should be looking for a novel from you soon, right? Steve, yes the best fiction doesn't feel compelled to answer all the questions...that drives me wonky sometimes but it ultimately places trust in the reader, a very honoring thing to do. Lori, you are the first person to ever say 'I dig your poem.' Thanks for taking the time to read and comment! Cherry, that quote comes from Norman Maclean's beautiful book A River Runs Through It...a fine read and a decent movie to boot. John, we are honored to have you guest-post with us today. Thank you for your wisdom, your encouraging words - today and always - and for your beautiful poem. John, I echo Katy's comment. Thank you so much for your beautiful contribution to Novel Matters. I too loved your poem, and I can't always say that about poetry. And I'm loving the discussion your post created. 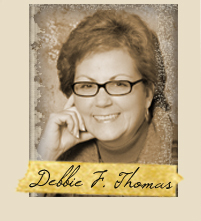 We are honored to have you share with us. "Its quite beautiful, really, this becoming more sympathetic or human." I have spent a long time trying to be perfect... as in GOD. Then the real God told me He actually loves humans, died for them. Novels help me see God's perspective, why they are worth loving, that maybe I am too if I will just embrace my own humanity. Thanks for your thoughts, John. I think I will post the above quote on my wall to remind me to treasure humanity, then I'll go find a book, a novel to read. "Then the real God told me He actually loves humans..."
Does it seem strange to you too? Loving the unlovely. That's what makes God different. Doing that, and writing about that is only possible through an intimate connection with Him. Oh, Henrietta, I love your insight. You are beautiful and you write beautifully. 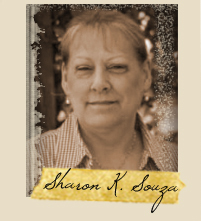 Sharon, it was my pleasure...I'm impressed with what you all do here at Novel Matters...its always informative, encouraging, and fun...thanks! Henrietta, as the first born son of a preacher, I too spent a good bit trying to be perfect...it was exhausting, not to mention incredibly un-fun...and yes, God does love us humans, and I've got a hunch He likes us as well...thank you for your comment.